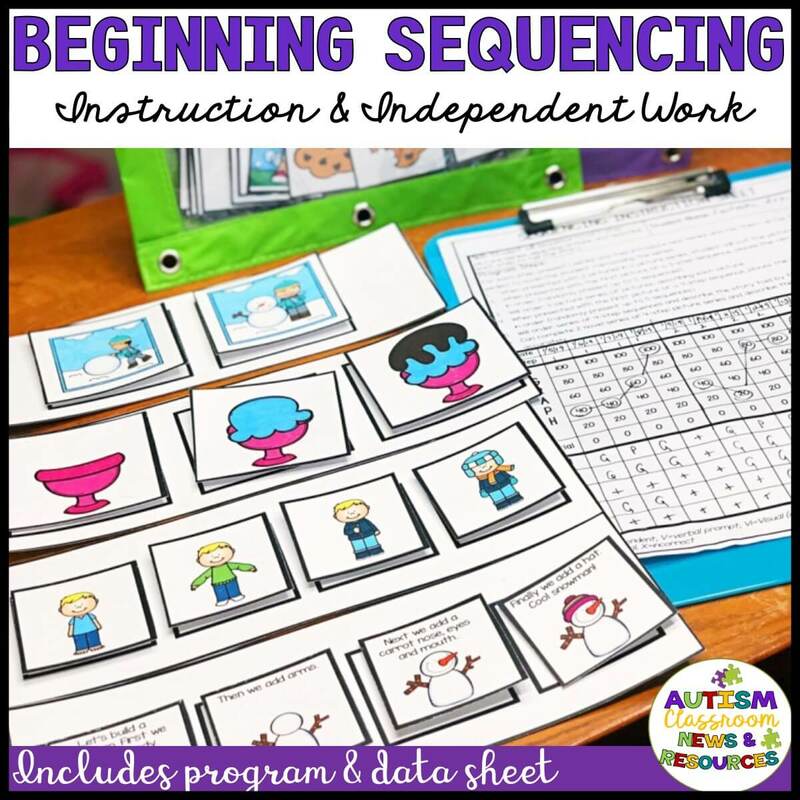 Teaching sequencing is such an important part of our instruction for young students in preschool. 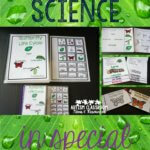 Typical students often pick this up very early and can order a story by the time they are in preschool or kindergarten. But lots of our students come to us without it because of their communication difficulties. 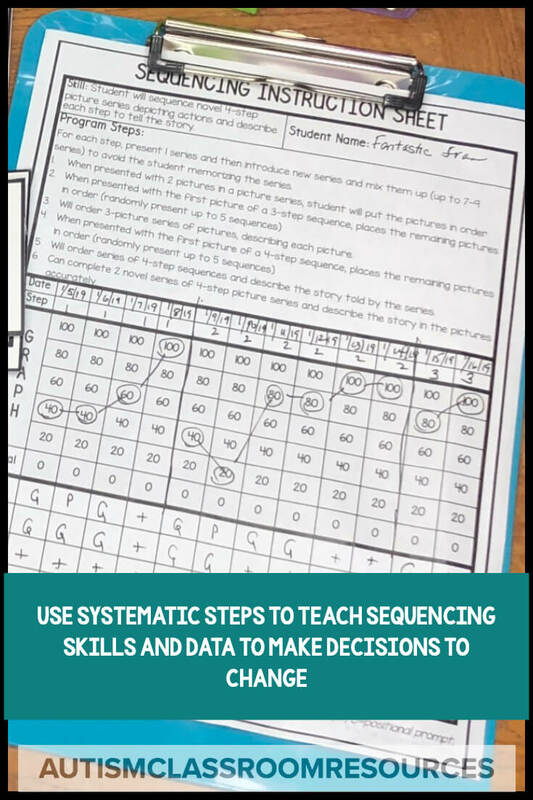 Consequently, sequencing is a must-teach skill in a developmental curriculum. But for some of our students it’s difficult to know where to start. 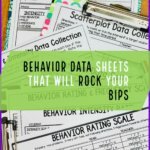 To help you out, here are some tools and some tips that can make it easier. Sometimes we want to start with everything the student needs to learn. For instance, we might write a goal for a student to sequence a story. But that doesn’t necessarily mean that we start with stories. 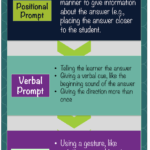 Before students can start to tell us a story or even put events in order, they have to understand that things happen in an order. In other words, they have to be able to understand cause and effect (or before-after). So if your student doesn’t have that skill yet, start with 2 pictures. The before picture then the after picture. It’s really important (and sometimes difficult) to find these for 2-picture sequences. You have to make sure it can only go in one direction. For instance, a plant in a pot and a plant out of the pot could go in both directions whether you are planting it or digging it up. And example of a sequence that can only go one way might be like the ones below. 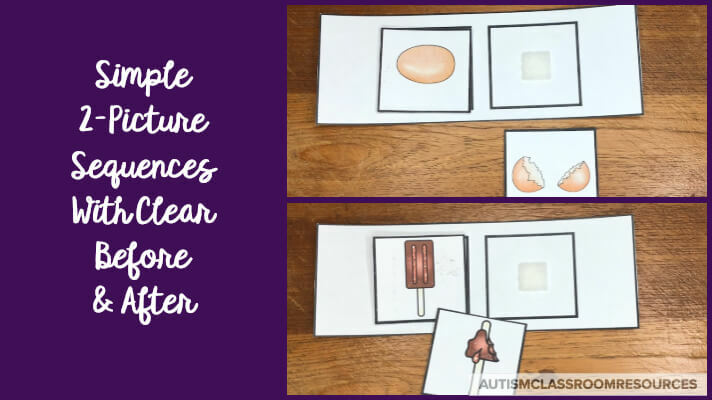 Starting with pictures is important for our students because it helps them focus on the relevant parts of the task. 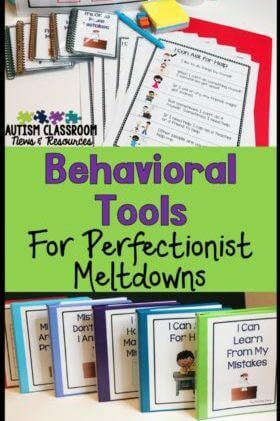 Many students with autism and other disabilities have difficulty figuring out what they should attend to in instructional materials. So, by paring it down to just the basics of pictures, they begin to learn the concept more quickly. When they get the concept, then we can begin to add words and make the shift to stories. While I believe this is important for all skills, in this case it’s a matter of breaking down the materials to shape up the skill. Obviously we want our students to use this skill for reading, communicating and more. But we need to start where they are and gradually move forward in adding elements of the tasks. So we start with 2 pictures, then 3 picture sequences. Then we start having them describe the pictures, which begins to tell a story. Then we can move to 4 pictures and so on. As students begin to put 4 pictures together, that’s when I start to add text. Clearly you want to use your DATA to help make this decision. 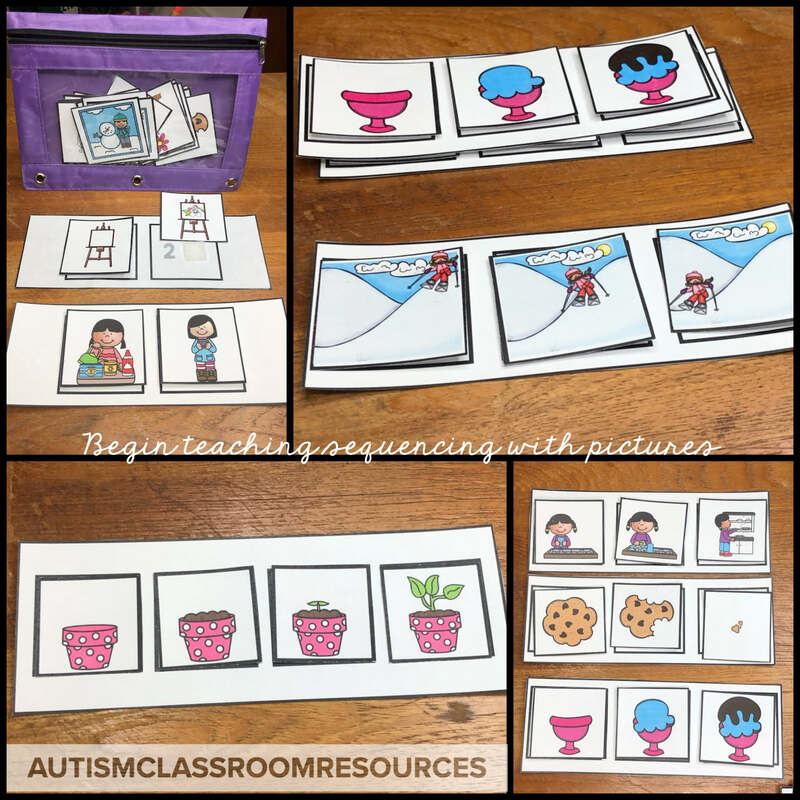 However, when students start to be able to talk about the pictures (usually at 3 pictures), then it makes some sense to work with both picture-only and picture-and-text cards. They get exposed at that point to the text while telling the story in addition to the picture. 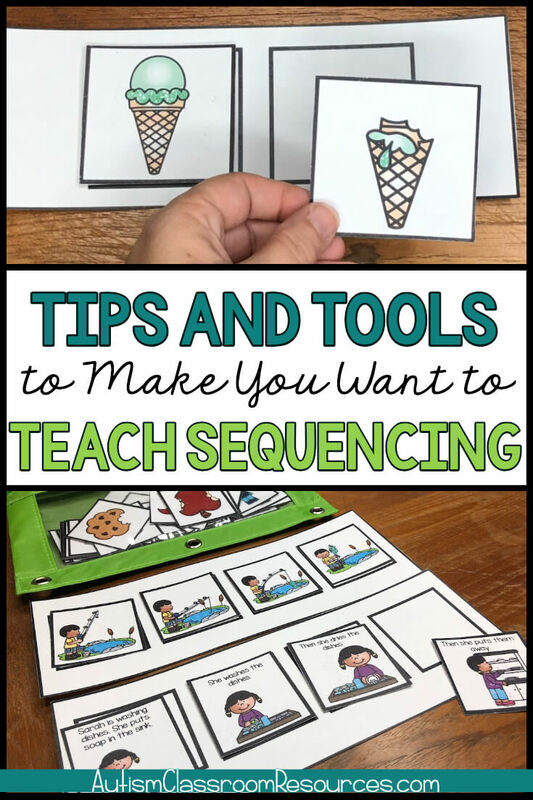 I’ll be back in the future with some more tips for teaching sequencing. 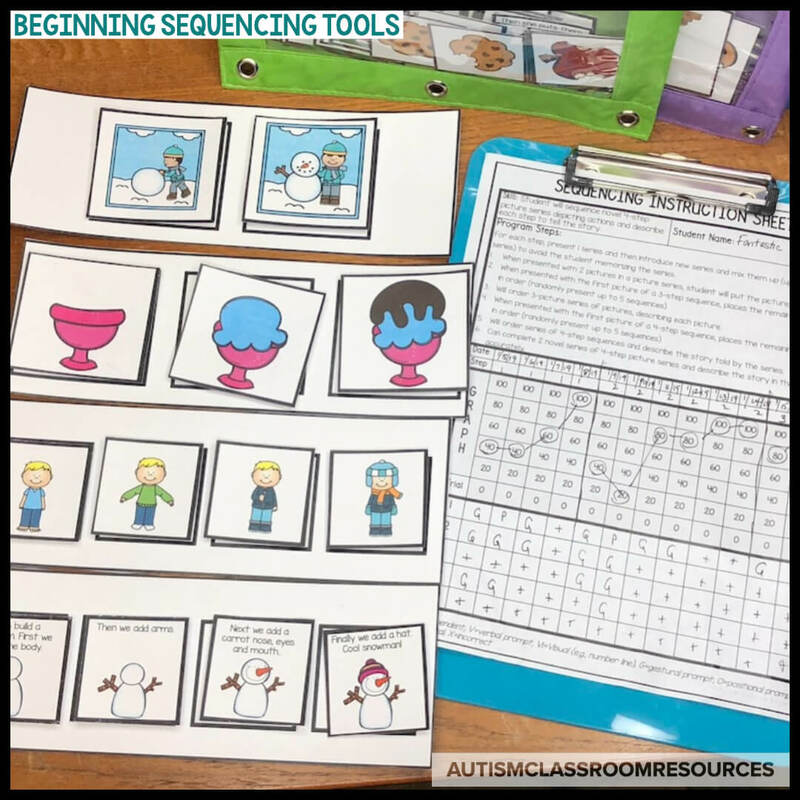 And I promise in the future there will be sequencing activities for older students. 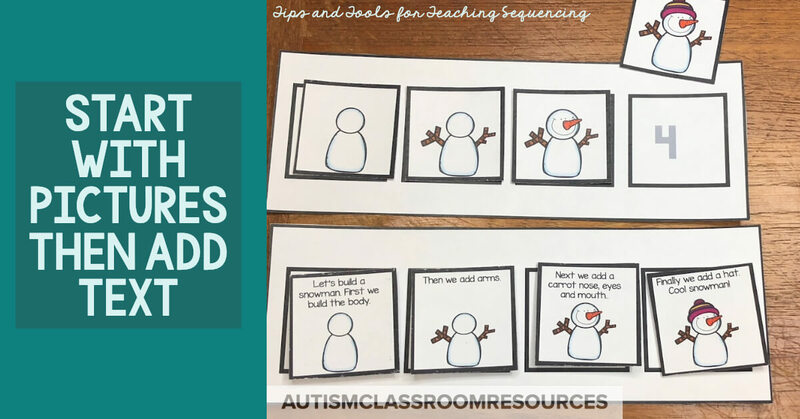 In the meantime you can check out the Beginning Sequencing tools for teaching it in this product from my store.